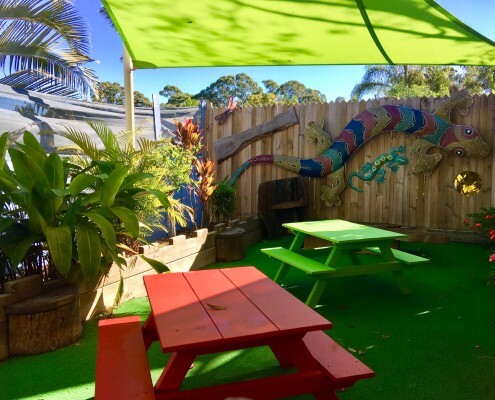 Paradise Point Kindyland located at the northern end of the Gold Coast offers a peaceful environment for children to play, explore, investigate, discover, create, learn and evolve offering a tranquil rainforest garden as you arrive to inspire little imaginations. Meals are provided for all children from 6 months of age. 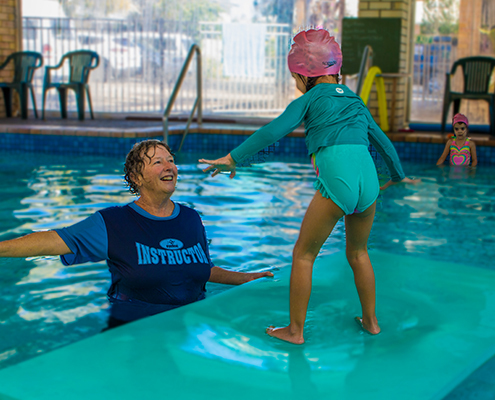 At Paradise Point Kindyland we respect and value every child as an individual. Children are welcomed into the centre by both educators and children. 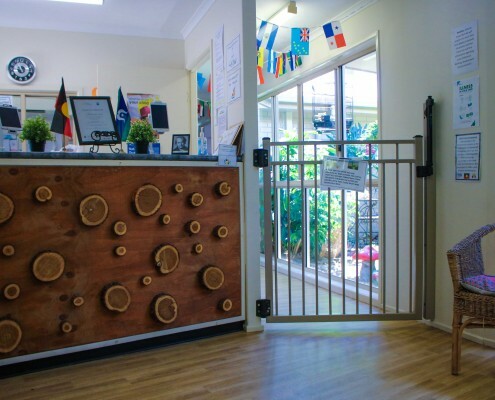 The centre has four children’s rooms for each age group from 15months of age to 5 years. There are also opportunities throughout the day when the children join together and siblings are encouraged to spend time together. Our educators are warm, welcoming and passionate and are devoted to the care and education of each child, recognising that each child will develop at their own pace. The education programs are directed by the Early Years Learning Framework and the National Quality Standards. 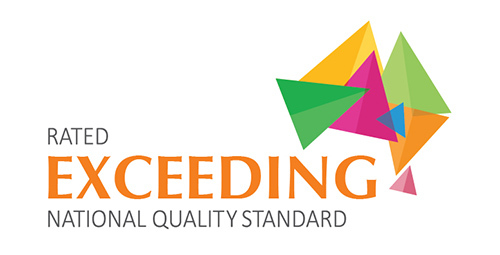 Centres are assessed at regular intervals by the Australian Children’s Education and Care Quality Authority (ACECQA) the governing body for Assessments nationally. 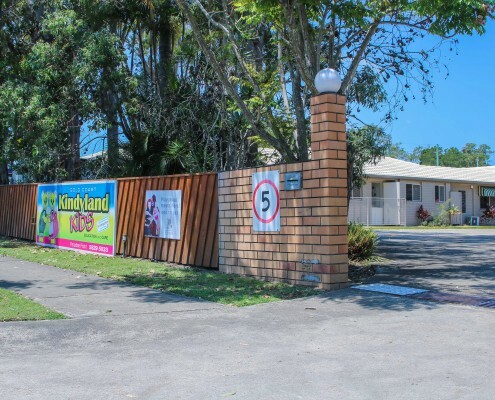 We are proud of our achievement at Paradise Point Kindyland wherein we received the high rating of EXCEEDING the National Quality Standards. 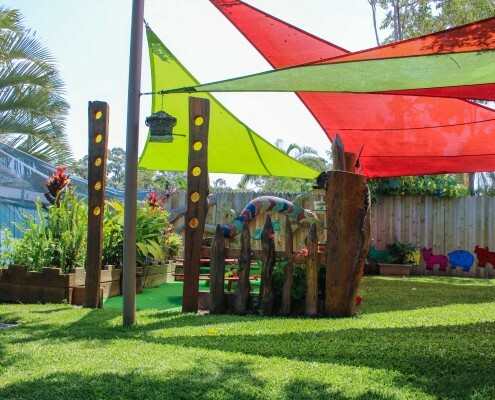 We provide a Kindergarten program approved by Education Queensland. This has proven to be a very enriching aspect of our Centre, providing the Kindergarten children with inspiring developmental programs focused on meeting individual children’s interests and abilities as we prepare them for their first year of formal schooling. Our team has a wealth of experience in providing educational learning styles to children. Staff respect children’s work, challenging them to analyse, question, reflect and attempt a variety of activities. Parents are encouraged to have input into the programs and our educators work very closely with each family to ensure that the program is personalised for your child, resulting in achievable outcomes. 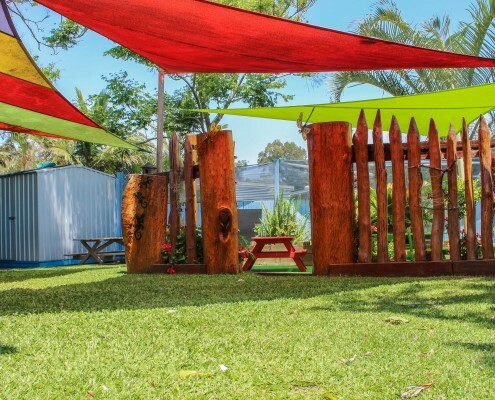 At Paradise Point Kindyland we celebrate your culture and beliefs through various learning opportunities with the children. We cook, create masterpieces, dance, sing, and involve families in celebrating the most valuable early years in children’s lives. Our new playgrounds are a child’s delight. 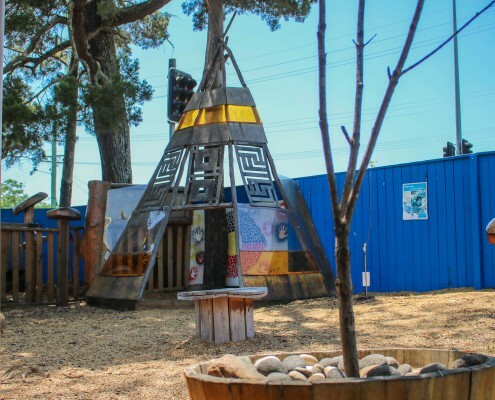 Forts and structures have been constructed to challenge and to engage the children in gross motor activities, balancing, confidence building and turn taking. There are also quiet areas for children to sit and interact with their friends and areas that promote imagination and quiet areas for reading. Our enthusiasm is in creating a safe, fun and nurturing environment and we welcome you to come and share your time with us. 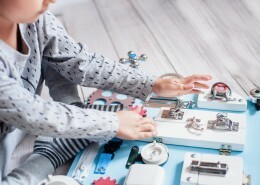 Montessori is a learning method that supports the full development of the human being and has a longer track record of success than any other educational approach in the world. 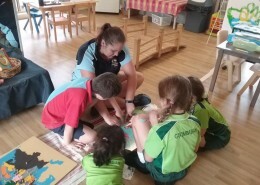 At Paradise Point Kindyland, the Montessori based programmes are delivered using Montessori resources and teaching methods that focus on developing the children’s independence in preparation for school, in addition to supporting the 5 Montessori curriculum areas; Practical Life, Sensorial, Language, Maths and Culture which inspire the children towards a lifelong love of learning, by following their natural trajectory. 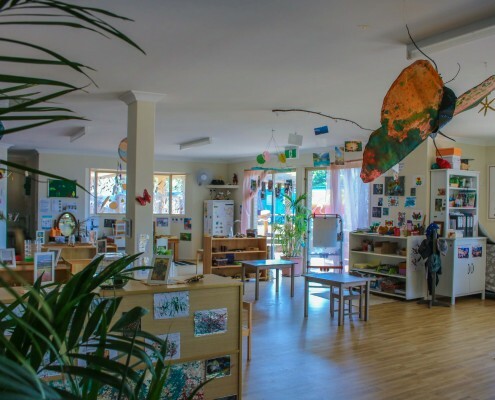 Government approved Kindergarten program led by an Early Childhood Teacher with a University degree specialising in early childhood. Qualified and dedicated educators with an additional emphasis on safety and care. Additional targeted programs e.g. music and drama, science, cooking and sporting activities. 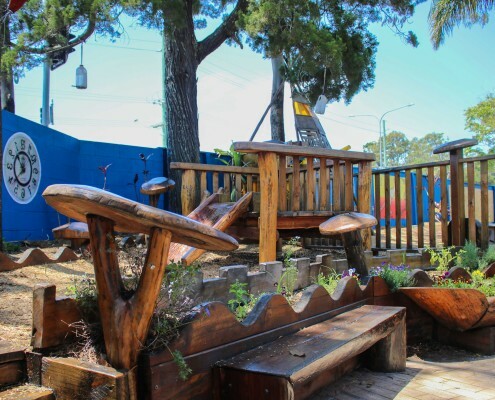 Separate playgrounds all in a natural environment and designed specifically to enhance children’s physical and emotional development. Meals provided from 15 months of age upwards. 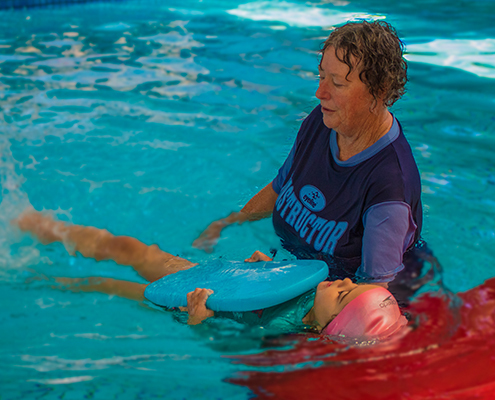 5 free swimming lessons at Harbour Town Swim Academy on enrolment. 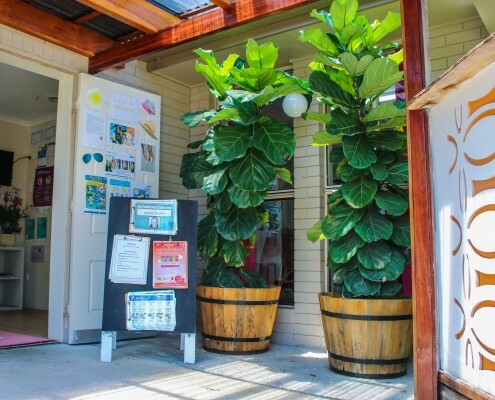 Before and after school care delivery and collection – St. Francis Xavier, Biggera Waters and Coombabah schools. 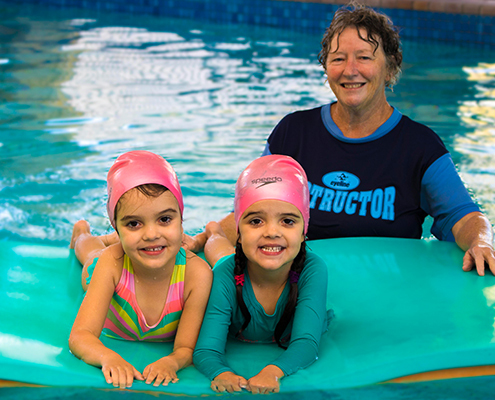 HARBOUR TOWN SWIM ACADEMY Learn to swim available during Kindy time 5 FREE swimming lessons on enrolment at any of our Kindyland Kids centres For a peaceful experience for you and your children in “learn to swim” classes, Harbour Town Swim Academy is the right place to be. 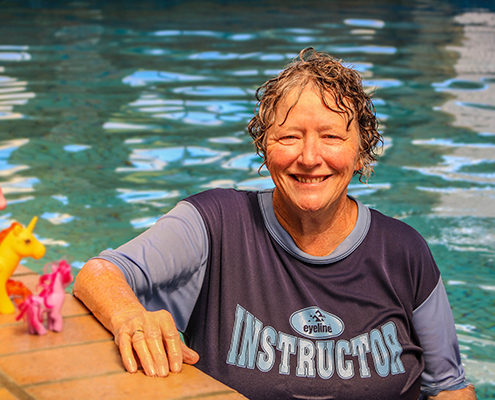 Our complex is Indoor, heated and caters for small classes of three with an individual instructor who is an Austswim accredited professional. 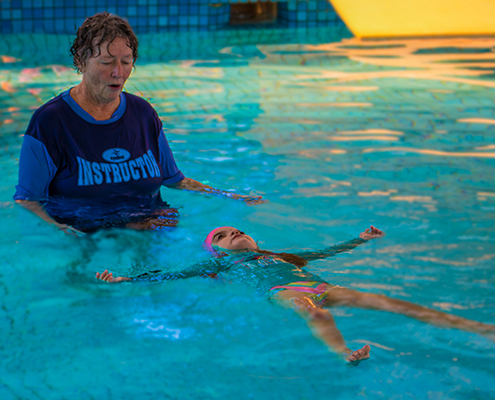 The Academy is registered with Swim Australia and our teachers are qualified and dedicated. With the Academy undercover your children will not be sunburnt and as it is heated, they are able to continue lessons throughout the whole year. 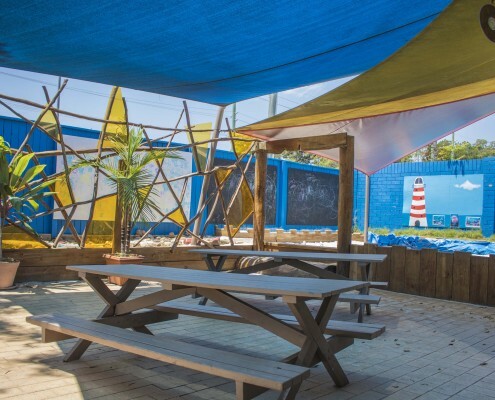 The learning environment is designed to provide comfort for children in a quiet learning environment and for parents to watch and encourage the children during fun, relaxed lessons. 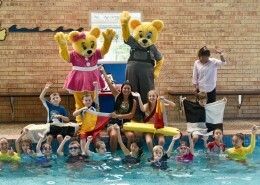 Children of all ages can join in the learn to swim classes which are designed to encourage children to be safe, love swimming as a lifelong activity and to prepare them through providing instruction on stroke techniques to ensure that they have the ability to move to higher swimming coaching when they are ready. We invite you to contact us about room availability or to arrange a tour of our centre to meet our educators and to see our facilities. 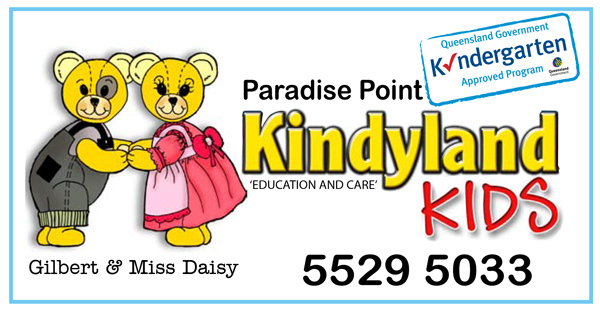 We want you to experience first-hand the opportunities that will be available to your child at Paradise Point Kindyland.